ISLAMABAD (92 News) – The Supreme Court (SC) has reserved judgment in the case of appointment of Attaul Haq Qasmi as the former MD of the state-run TV channel Pakistan Television (PTV). 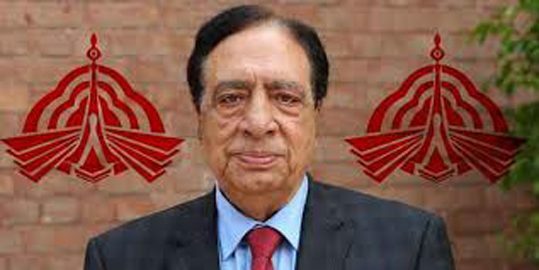 A two member bench of the Supreme Court headed by Chief Justice Mian Saqib Nisar has reserved judgment in former PTV Chairman Attaul Haq Qasmi’s appointment case. The chief justice said that the court will decide about the appointment. Attaul Qasmi refused to return the salary as he has taken as per given his services. During the hearing, former finance secretary Dr Waqar Masood, who had been summoned earlier, appeared before the court. 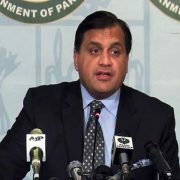 “I have recorded my statements,” Dr Masood told the bench while adding that he had expressed reservations at Qasmi’s Rs1.5 million monthly salary. “The summary was sent to the Finance Ministry which forwarded it to the Prime Minister’s Secretariat,” he added. “This is why we had summoned Qasmi,” the chief justice said in response. The bench then summoned a copy of the summary which was forwarded to the PM Secretariat and Finance Ministry. “We will have to do something to end corruption,” he remarked. However, the court reserved the verdict over PTV Chairman Attaul Haq Qasmi’s appointment case.